Residential versus commercial gutters is an important topic which our team at American Standard Roofing will cover in today’s post. 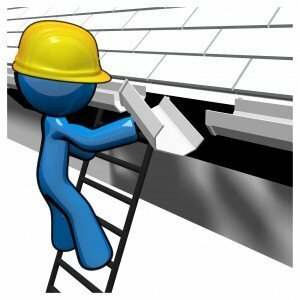 We have come across a fair share of customers wanting to upgrade their gutter systems. This a result of the raging debate over residential versus commercial gutters and which one is better for residences. We have covered this in depth in a previous post, and we thought we’ll cover it again and go over a few things. 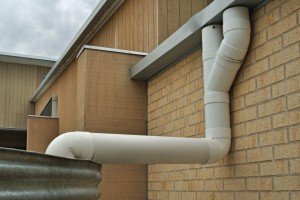 Advisable to upgrade when considering residential versus commercial gutters? It is very common for customers to ask if they need to upgrade there gutters to a commercial 6 inch system. A lot of our customers come in with the impression that larger gutters generally mean better gutters. While yes, larger gutters mean lesser chances of debris getting stuck in, the statement might not always be true. Our team has a lot of experience with gutter systems and advises homeowners that most of the time sticking to a regular 5 inch residential gutter system is the best way to go. Below, we will talk about three important reasons why homeowners should stick to residential when considering residential versus commercial gutters. A simple increase of just one inch in size can make a huge difference in appearance. It can have a huge impact on appearance when the gutters are hung. Broader, bigger gutters will end up covering the entire fascia board. Consequently, this means the house will show less amount of trim showing on the outside. Unfortunately this tends to make the home look much less appealing. Oversized gutters hanging on the outside also give the home a bulky or swollen look. Our advice is simple when it comes to residential versus commercial gutters. It never hurts to hunt around for houses with a similar look. Driving around! Look for homes that have the same type of gutters as you want. Looking around at houses can help homeowners save money. Our team has seen work orders being completed and then being ripped down only to have residential gutter systems put in because of aesthetic reasons. Bigger gutters obviously have more flow of water. This means more debris. Commercial sized gutters need more maintenance as compared to smaller residential ones. Bigger gutters obviously need more cleaning done. That also means that during winter times more ice will build up along the lines of and inside the gutter. While there are many safeguards for both residential versus commercial gutters, things can end up dreadfully. Our team has seen gutters being ripped out from the sides even though they had solid fasteners. Needless to say, homeowners need be extra careful when it comes to maintenance. And remember, upgrade in terms of size in residential versus commercial gutters often means added maintenance because of the workload. There have been certain instances in which customers wrongly assume that upgrading gutters will fix structural problems they have with the home. Certain homes are just designed poorly. This poor design leads to a whole host of problems which cannot be fixed by a simple gutter upgrade. For instance, certain areas in which several roofs all converge and pour directly into a valley are always going to be troublesome. These areas will accumulate an excess of ice and when it rains hard everything will pour together and come off that roof like a water fall. 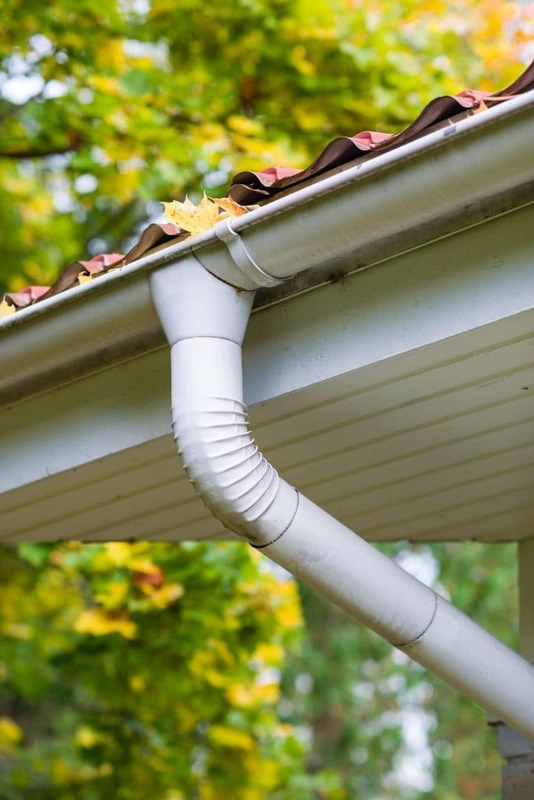 A gutter diverter can be helpful to reroute some of the flow but regardless of what you do the water will most likely still continue to flow over your gutters. Our recommendation is to place extra protection underneath the area so that the water doesn’t erode the soil or destroy the concrete. As explained above, maintenance is important. 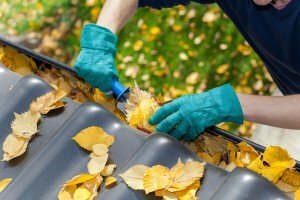 Homeowners should make sure to clean out the gutters every fall season, and then in the winter throw up a calcium chloride puck or run some heat tape down the length of the gutter and the downspout. Simple solutions some times are also the most effective, our team suggests. If you’re in the Metro Detroit area and need help with residential versus commercials gutters, do check us out. We’ve been in the business for over 36 years and have served over 11000 Metro Detroit customers! Customer satisfaction is everything for us. We offer lifetime warranty for the product, both labor and material. We have expert staff members, and dedicated employees. We also take pride in providing superior pay and safety to our crews. We are also fully licensed, bonded and insured. Call us today at (248) 350-2323.